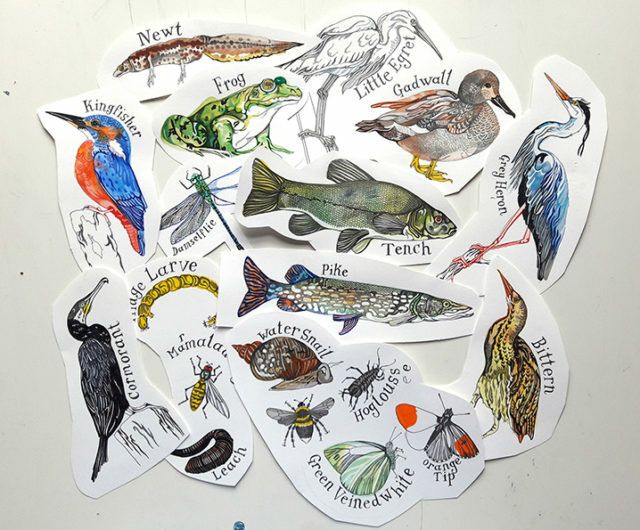 There is a BIG Wetlands opening up to the public in Walthamstow this Autumn. 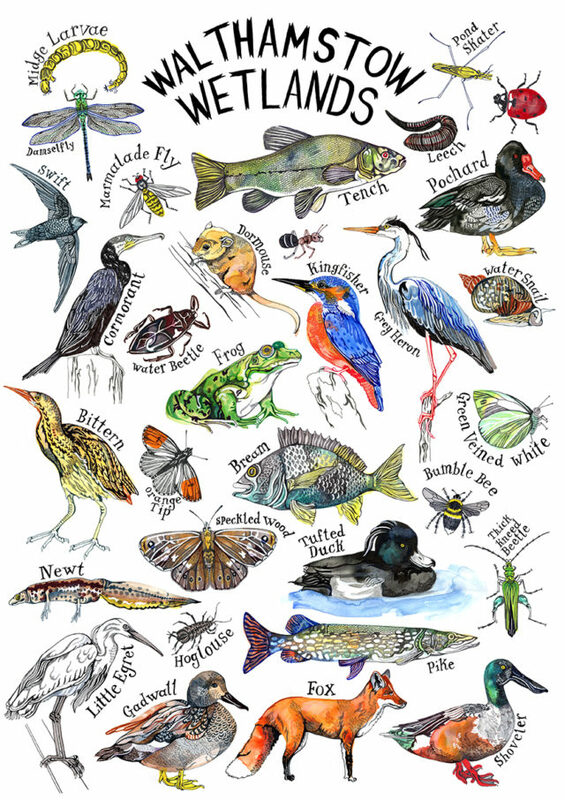 I thought it would be good to celebrate it by drawing a poster of some of the wild life which could be found. This image is going to be sold as cards and note books in the gift shop.